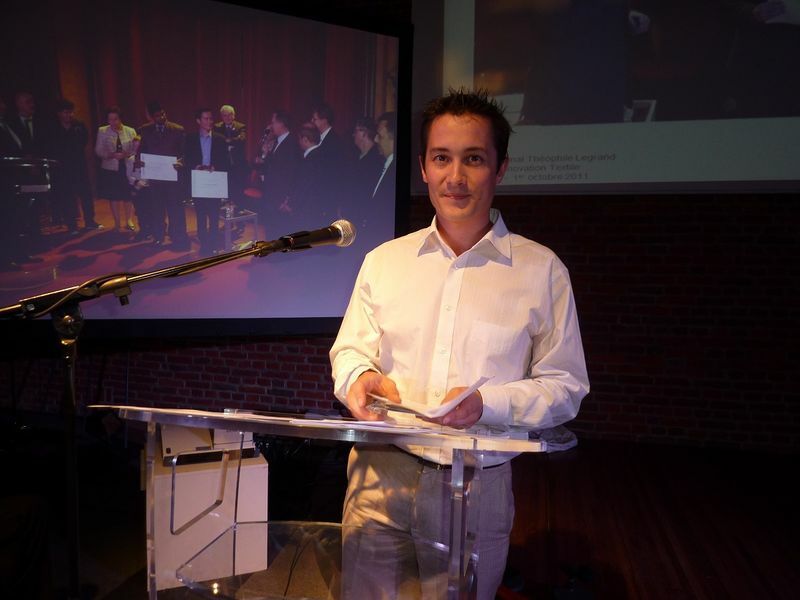 Following the establishment of the Institut de France’s Théophile Legrand Foundation in 2007 by Dominique and Christian Cambier, The Théophile Legrand International Prize for Textile Innovation has annually awarded two prizes for original contributions to textile innovation since 2009. In 2015, two different prices for the same amount: "The Théophile Legrand International Prize for Textile Innovation in the service industry" and "The Théophile Legrand International Prize for Textile Innovation at the service of man” will be awarded to researchers, PhD students or engineering students under study contract, who will show the ability to invent the ‘textile of tomorrow’, the original creation of fabrics and fibres or new ways of industrial textile production. Entrants are permitted to submit current work in progress. By enlightening technical or industrial creations, the aim of the prize is to facilitate and support innovations in the textile industry and research, capturing the spirit of imagination and competition. We define textile innovation as: What defines the creation and invention of a new product, either a new application, configuration or amendment to an already existing product with the use of supple materials or advanced textiles. The product will open up markets and be of commercial value through responding to consumer and business needs appropriately as far as textile innovation and advancement is concerned. We define a ‘supple material’ when possessing flexible properties which can be easily manipulated, bent and folded without breaking. An innovative textile design project can be submitted for consideration if the entrant or team of researchers is able to prove that the project, product and the invention of newly used elements are of their own work. Selection criteria are the same for inventors of new textile fabrics as well as those innovators of new processes of textile production. To this effect, all entrants are judged on their creativity, originality, innovation to the field and the project’s ability to be industrially reproduced. The 2015 Prize is organised by the Théophile Legrand Foundation, Institute de France and its coordinator Paul Schuler, under the authority of the Union des Industries Textiles, trade association representing the diversity branches and French textile regions (Clichy - F- 92110). It is eagerly supported by AUTEX (Association of Universities for Textiles - Pakistan / Australia/ Europe / China / USA / Russia / Japan /) ; The Union of Textile Industries (UIT) ; The Organisation of Technical textile Manufacturers of France and Belgium (CLUBTEX) ; IFM (The French Institute of Fashion) ; IFTH (French Institute of Textiles and Clothing), Clusters French textile competitiveness of the European Technology Platform of Textiles and clothing, textile engineers French schools (GEMTEX laboratories, Roubaix ; Duflot Industrie, Astirum EADS, Tenthorey, Prigest and the following National Colleges : The National College of Arts and Textiles, Roubaix ; School of Enigineering, Lille ; The Institute of Technology and Chemistry, Lyon ; and the National College of Engineers, Sud Alsace) ; the Department of Texiltes, Gand University (Gent), Belgium ; as well as the eco-museum of Avesnois and the Association “Escapades Sambre-Avesnoises”. The following are not eligible for consideration: Winners of the 2013 Théophile Legrand Prize, members of the organisation committee, laboratories or organisations involved in or sitting on the judging panel. Applications by Email only must be submitted before January 31st 2015 to: theophile-legrand@hotmail.fr. Following submission, the co-ordinator of the 2015 Prize will email back a confirmation of receipt notification. - To be accepted, the proposed project should not be commercialized. - It is imperative that candidates maintain a high standard of submission of application both in the quality of images and in the formatting of documents (High Quality photographs, presentations etc...). - Entries can be from an individual candidate or a researcher team. - Cover letter. with the selected class accordingly: Either "textile innovation in the service of man" or "textile innovation for the industry"
- The name of the invention by the Candidate. - Comprehensive list of all previously achieved works and / or research projects (max. 5 pages). Winners are decided by a jury composed of representatives of the Théophile Legrand Foundation - Institut de France, the Union of Textile Industries, the French Textile and Clothing Institute, the French Institute of Fashion and experts in the field of research, industry and textile innovation. The selection committee will be meeting in February 2015 in Paris. The Board of Directors will convene before the end of March 2015. The decision of the Board, Judges and experts is final and the board does not have to to justify his decision. The two winners will be announced in writing 48 hours after the deliberation and will be transferred to candidates and partners of the 2015 Prize for textile innovation. The "Théophile Legrand Innovation Award Textile Service Industry": 8 000 Euros. 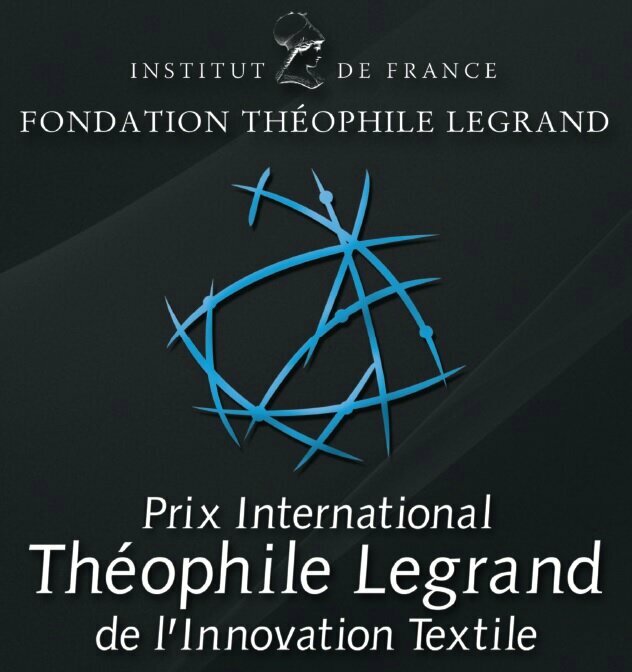 The “Théophile Legrand International Prize for Textile Innovation at the service of man”: 8 000 Euros. - The "Théophile Legrand Innovation Award Textile Service Industry" will be presented Wednesday, March 18, 2015 at the Conference Centre "Capital 8", 32 rue de Monceau in Paris (F - 75). 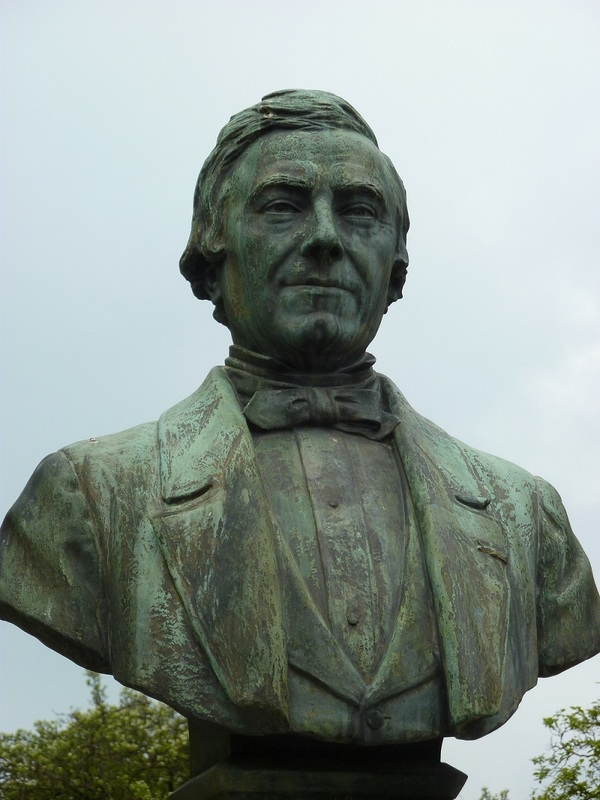 - The "Théophile Legrand Textile Innovation Award at the service of man" will be presented Saturday, March 21 at the museum of Avesnois textile museum and social life, Maria Place Blondeau, Fourmies (F - 59). Prize winners will commit to being present for the ceremony and receipt of the prize where they must show a multimedia presentation of their project. Candidates take full responsibility for the accuracy of all information provided through the course of their project and the work they produce and may be subject to a demand of justification by members of the judging panel. Candidates must declare that they are the authors and owners of the work. The Foundation reserves the right to engage in media coverage of the prize, particularly through the press. Candidates will give permission in advance for the Fondation Théophile Legrand – Institut de France to use their name and to publically present their projects, using whatever means the Foundation sees appropriate, including public exhibitions and promotional information in relation to the prize, excluding the additional future opportunities and subsequent rights of the prize winner resulting from the prize award as detailed in article 7. For the purposes of the competition, candidates waive all copyright of, and agree to the distribution of, any photographs and videos taken at the award ceremony. Winners agree in advance to the Fondation Théophile Legrand – Institut de France reporting on the projects as detailed in their application dossier. Which means, candidates must expressly inform the Foundation of any documents or information that they want to remain confidential. The organisers accept no responsibility for any claims made by a third party. All content of documentation received by the candidate as well as discussions pertaining to the decision making of the judging panel will remain strictly confidential. The judging panel together with any person who has come in contact with any information pertaining to the candidate’s project will treat the information in the strictest confidentiality particularly as far as specific details and content of the concerned project. .All members of the judging panel will sign a clause of confidentiality. Intellectual property rights pertaining to the creation, concept or inventions included in the application dossier remains the exclusive property of the candidates. The judging panel and competition organisers will not be held responsible for any publication of a candidate’s protected work by a third party or by the candidate. The coordinator of the competition will take full responsibility for the travel and hotel expenses of the two prize winners of the 2015 Théophile Legrand International Prize for Textile innovation. Prize winners and a guest of their choice will have free entry to the event. Protection of personal information: all participants are advised that all personal information provided is correct and is necessary for successful entry to the competition. Participants should be aware that any information provided will be verified by the competition organisers. The current competition has been accepted as fully compliant with French law. The organisers reserve the right to modify or cancel the 2015 Prize due to unforeseen circumstances or as a result of external circunstances to the Prize and beyond its control without prior notice.